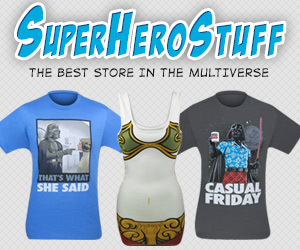 Looking for cool Global Geek News merchandise? Look no further than the official Global Geek News Online Store! From apparel to water bottles, the Global Geek News Online Store is the place to buy all of your Global Geek News related merchandise! Proudly tell the world that you love Global Geek News by wearing a Global Geek News shirt or even cooking apron! There are few better ways to introduce people to Global Geek News than to wear something sporting the Global Geek News Logo. Your purchases help pay for the cost of running Global Geek News, so go forth and shop!